Harmony Day was celebrated in various forms in Greater Dandenong. 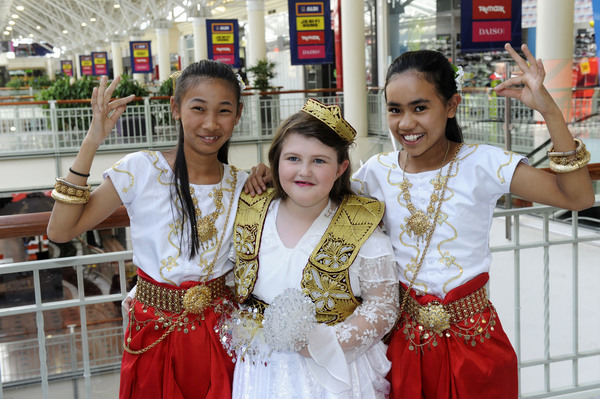 Armada Dandenong Plaza hosted a day of dance celebrations on 16 March. It featured performances of Aboriginal, Chinese, Bollywood, Japanese, Middle Eastern, African and Polynesian traditional dance. Kids were also invited to dress in a cultural outfit, as well as have their face painted in a national flag. “Harmony Day is particularly significant to our centre as we have a large number of different nationalities represented amongst our retailers, staff and customers,” centre manager Mark Tannahill said. At Harmony Square, Springvale Neighbourhood House staged a cultural concert, international dance parade as well as food stalls and Chinese-tea tasting on 17 March. Meanwhile, Dandenong Community Family Day Care was set to stage a dress-up picnic at Tatterson Park, Keysborough. It invited children to dress in their national dress or “something orange”.